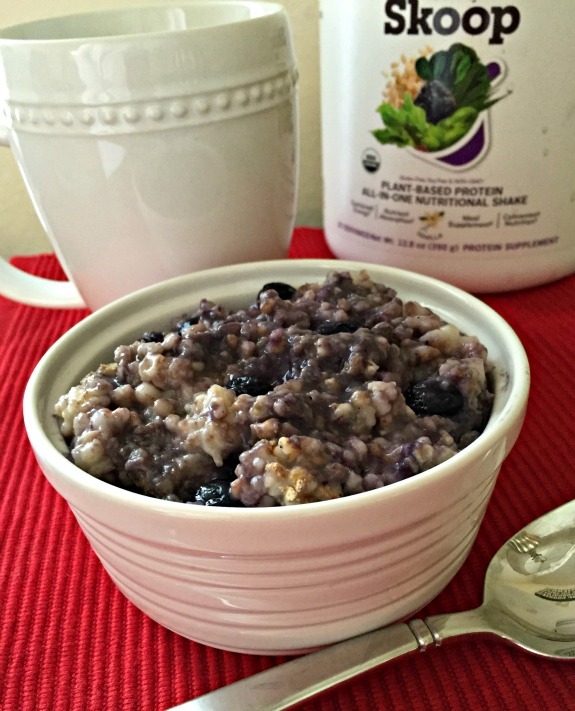 Blueberry Pie Protein Oatmeal – Skoop Giveaway Too! 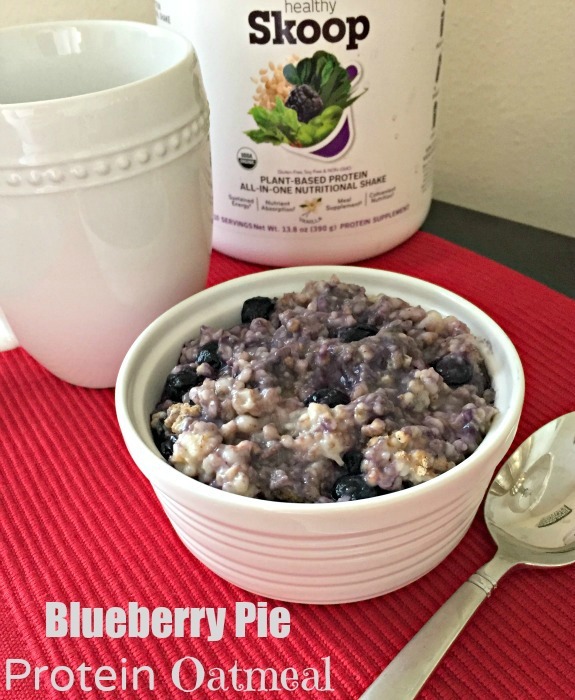 This blueberry pie protein oatmeal recipe is super easy to make! 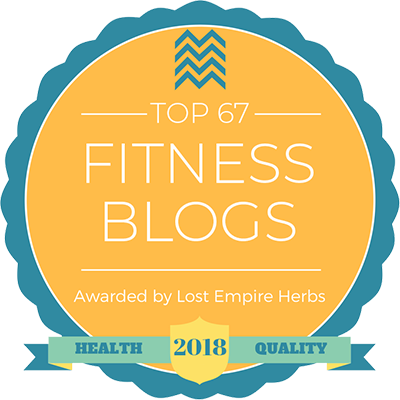 Both gluten and dairy free, this oatmeal is packed with plant-based protein and complex carbohydrates which combine to power you through the morning. The natural sweetness of the blueberries plus a hint of vanilla from Skoop’s All-In-One Nutritional Shake makes this blueberry pie protein oatmeal the perfect start to a sweet morning. You know how I love me some Healthy Skoop. I never thought I would become a protein powder girl but Skoop B-Strong got me hooked. 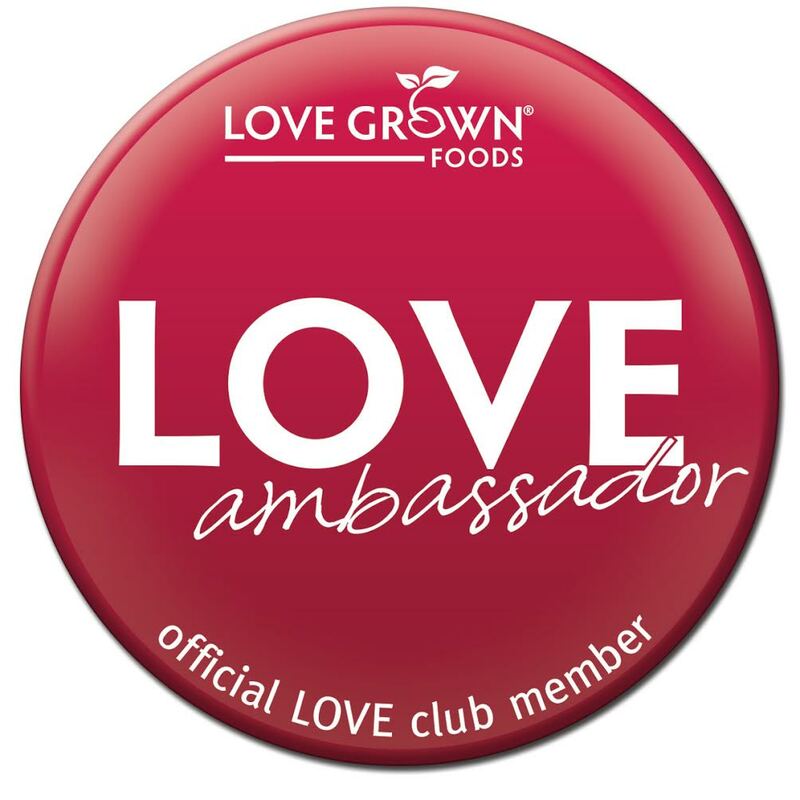 I love adding it to smoothies, baking recipes and every single morning in my oatmeal. I am a creature of habit. 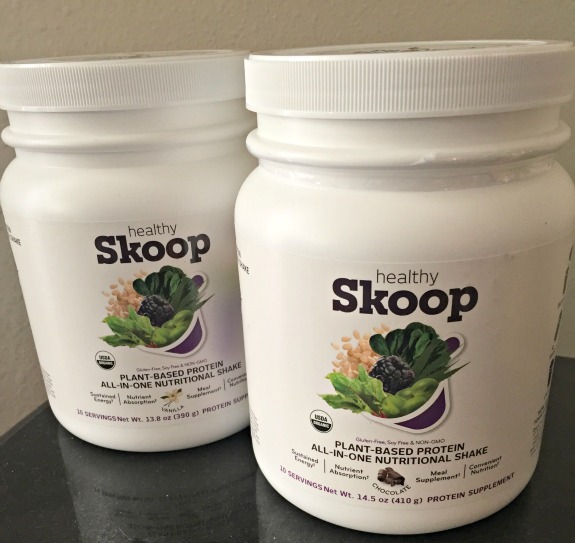 I like to eat the same thing every day and I am not good with change but when I received Skoop’s new Plant Based Protein All In One Nutritional Shake, I gave both the chocolate and vanilla flavors a try. The perfect all-in-one nutritional shake for those times when you don’t want to sacrifice super nutrition in the name of convenience. While I liked the chocolate, I do prefer vanilla when it comes to protein powders. This vanilla All-in-One Nutritional shake flavor is not as sweet as the vanilla B-Strong protein powder but it offers slightly more in the nutritional department including more protein and fiber. Plus, it works really well in my blueberry pie protein oatmeal recipe. I have been making this blueberry pie protein oatmeal lately with frozen blueberries and I honestly think it’s as good as when I use fresh blueberries. Loaded with blueberries and chewy oats, the addition of Skoop’s All In One Nutritional Shake in vanilla gives this plant-based recipe a nice boost of protein and offers you everything you need to power through the morning after a hard workout. Add blueberries, cinnamon, splash of almond milk and Skoop and mix well until combined. Microwave for 1 minute at a time until heated to desired temperature. Serve with additional almond milk and add peanut butter if desired. Giveaway Time! 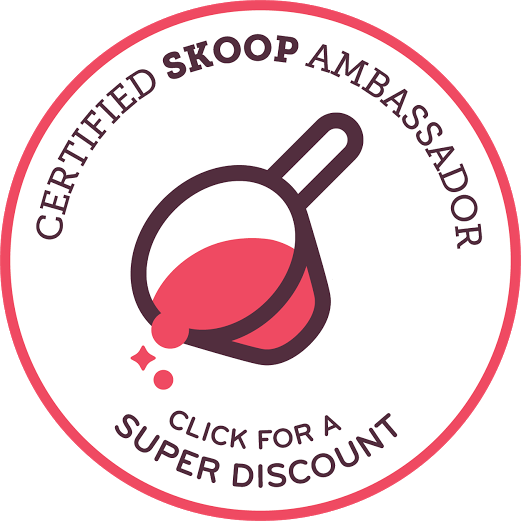 The kind people over at Skoop are allowing me to give away one Skoop All-In-One Nutritional Shake, either chocolate or vanilla – winner’s choice! 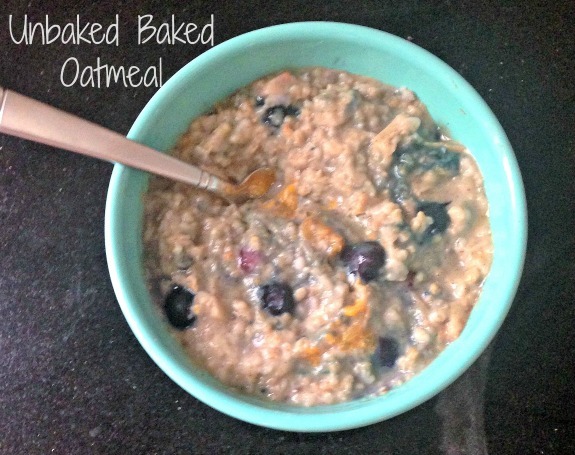 Looking for more oatmeal recipes using Skoop? Should I do a post on exactly how I like to prepare my oatmeal servings for the week before the toppings are added? 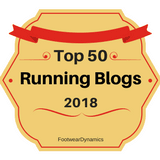 I only started eating oatmeal again over the last few months before my long runs, and don’t add anything to it. I think I want to get a little more creative this winter when I am craving a warm breakfast! 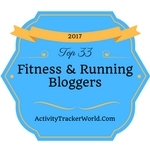 I also think the addition of protein powder will make this a perfect post-run meal. It’s the best post run – I eat it every day! I love plain oatmeal. I occasionally try and make some fancy flavor, but I usually wish I left it plain! My kids and Adam really like oatmeal and they’re deprived. I need to make this for them! Blueberry pie anything sounds delicious. I literally -just- finished polishing off my morning oats, only I made mine with bananas and almond butter instead of blueberries and peanut butter 😛 I do love adding a scoop of protein powder to my bowl, though — both for extra nutrition and flavour. And totally agree about vanilla beating out chocolate, always. Literally eating a blueberry baked oatmeal cake right now. One of the hardest things about going grain-free (as part of a medical elimination to see what’s ailing me) is giving up oats. I am desperately hoping they are not the culprit and will be protein-packing them with a yummy protein powder for the first time to try this out if they aren’t! I hope you don’t have to give up oatmeal for good! Oatmeal with a scoop of cashew butter, sprinkle of cinnamon, and a bit of honey 🙂 Best way to eat oatmeal ! Good old scoop of peanut butter would have to be my favorite topping! All melty and what not! Yes to peanut butter in everything! Lately, I’ve been all about pumpkin pie oats: I add pumpkin, pumpkin pie spice, Greek yogurt, and almond butter with a splash of maple syrup on top. It makes a very filling breakfast! This looks amazing! I’ve been eating blueberry everything lately. Haley recently posted…Weekend in Photos: The First Snow! Yum, I often have fresh blueberries in my oatmeal and they turn all nice and warm and gooey. 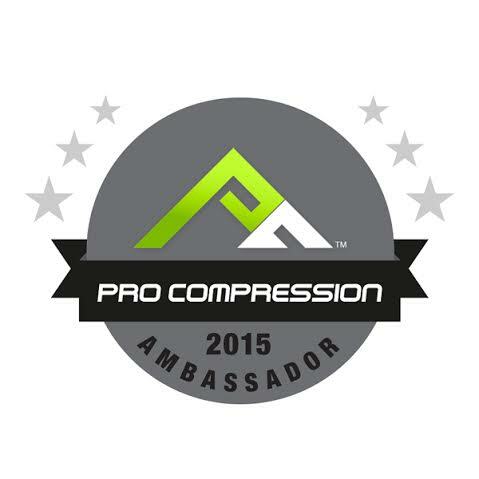 A great combo! Love blueberries in my oatmeal! I always think of you when I hear about Skoop because I remember that you put it in everything! I’d love to try it one day. Probably vanilla flavour. I had oatmeal this morning with peanut butter stirred in. I’d love to try Skoop! I have a dairy sensitivity, so I rely on non-dairy protein powder. I’ve never put powder in my oats, but I looooove it in my smoothies! Love adding cinnamon apples and any type of nut to my oatmeal. Yum!! This morning I had greek yogurt and granola, but I wish I had oatmeal in the cold weather! My go-to toppings are fruit, pb, and cinnamon! I love pecans and raisins in my oatmeal. One of my favorite ways to make oatmeal is Peaches and Cream (with Cinnamon, of course! and from “scratch”). Just brown sugar on top for me though I like to throw in some crunchy plain cereals too! LOVE adding in strawberries, cinnamon, and almond butter! Cashew or almond milk always finds its way into my oatmeal to make it extra creamy and delicious. Cinnamon, peanut butter, pumpkin, and maybe vanilla protein powder. Or sometimes I want something chocolately, so I add mix in cocoa powder, chocolate protein powder, and cacao nibs. Yum! My favorite oatmeal mix-in is probably banana. I’ve also been adding pumpkin a lot recently. Bananas, zucchini and nut butter! Toppings… chocolate chips baby! Pumpkin oats always!! With cream cheese “icing” – something new for me to stray from the regular (but still oh so delicious) nut butter. 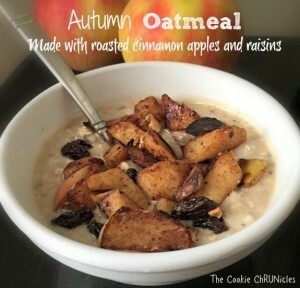 I’m just getting back into the oatmeal bowls now that the colder weather is arriving. I would love to try Skoop!! Hear so many great things. I LOVE skoop! The A-game is my favorite, but I love baking with B-strong! I’ve been dying to try the new powders! I love to add frozen raspberries and chocolate chips to my oatmeal! I like A Game too, I need to use it more. I like just mixing in frozen fruit, egg whites, and cinnamon into my oatmeal.